Failing to make the most out of a spacious basement and only using it for storing old objects is a disappointing consumption of space inside a luxury home. Basements of Denver luxury homes are too cool to be like other ordinary pale-looking basements. Why not hype them up so they can be on par with every room in the house? Here are 5 different ways to improve your basement! Amaze your overnight guests by presenting them a guest room that is not in the second floor like all the other bedrooms. Make them feel extra special by creating a bedroom that provides more privacy. You can also utilize any extra space by putting a bathroom in the basement so your guests can use their own toilet and bath. Who wouldn’t want a movie room? It’s nice to watch movies in the TV at the living room, but wouldn’t it be better to sit in a room designed only for movie watching? For one, basements usually don’t have windows, so they are naturally dark. Take advantage of this darkness by converting the basement into a movie room. Add soundproofing wall panels, plug quality surround speakers into a wide flat-screen HD TV, and throw in the most comfortable couches or ottoman seats. Voila! You have an entertainment room right under your house. Don’t want to hear the noise of laughter, game console sounds, and annoyed grunts coming from the next room? Then move the game room to the basement! You can also add a pool table along with the gaming station. You can even have enough space for a dart tournament or for a small drinking bar. At the same time, you and your friends won’t disturb anyone in the house too much, no matter how loud you guys are. Having a music studio for a basement is every musician’s dream. It’s also a great way to record your music as an artist. 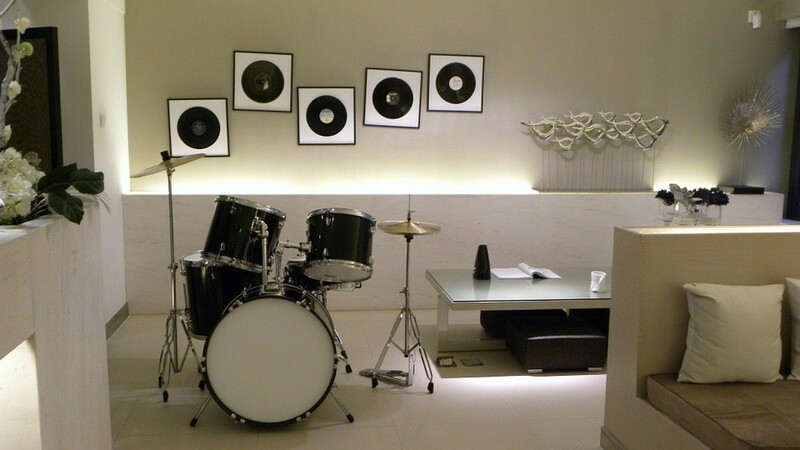 If you belong to a band, then you no longer have to practice in the garage because the basement can also be soundproofed to become an ideal environment to create music. Just plan out where to put the microphones, the keyboards, the guitars, the drums, and the amplifier. Instead of going to the gym, save time by exercising in your home! Convert your basement into an exercise room and make your house a fitness-friendly place. Lay down a rubber mat across the basement floor and set up the correct lighting. Throw in a treadmill, an exercise ball, and a few weights. Add in other fitness equipment you think you might need, but make sure that the room has good air flow even if it’s in the basement. You can even install full length mirrors on the walls if you want. Now, you don’t have to drive all the way to the gym to exercise! Take these tips with you and start enhancing your basement to make the best out of every space of your Denver luxury home.